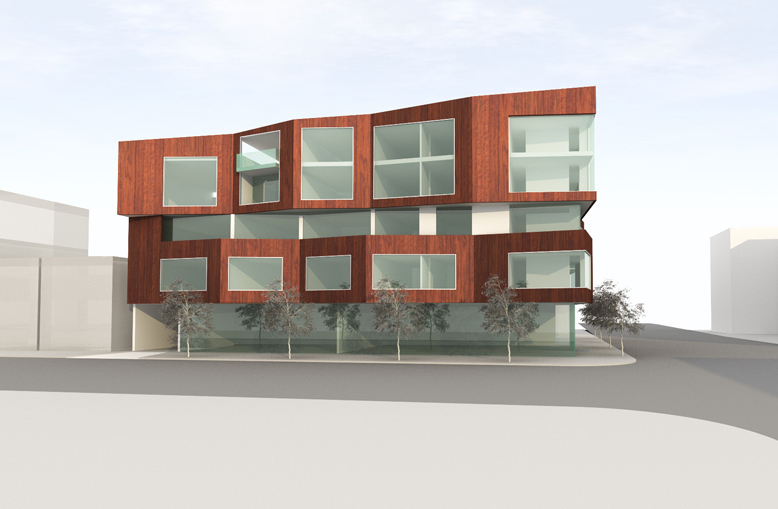 A new luxury condominium development at a site left vacant by the demolition of the Octavia Freeway. 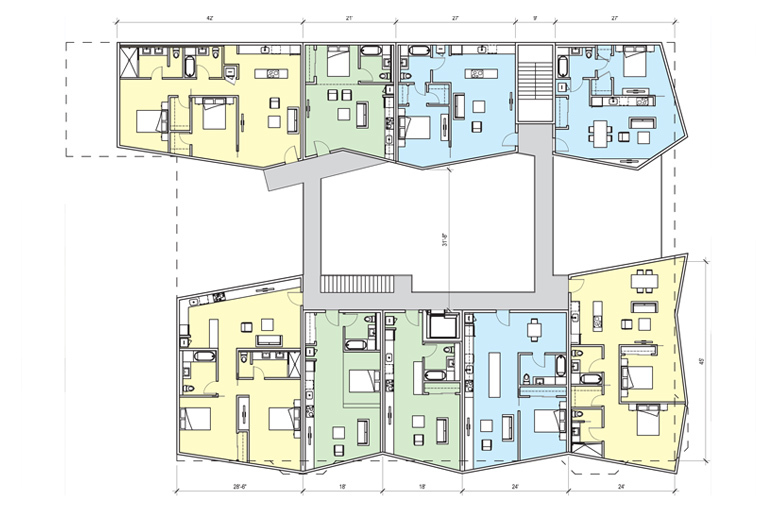 The 32 condos are arranged around a narrow courtyard meant to echo the scale of San Francisco’s famous alleys. 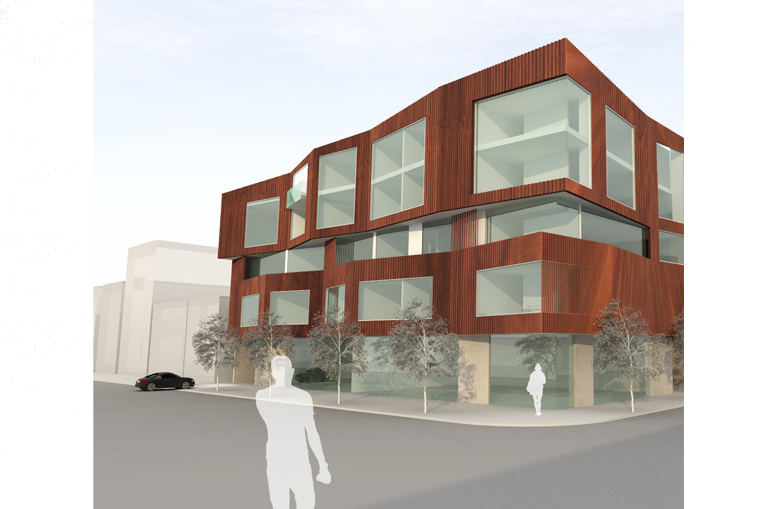 A faceted wood slat facade undulates gently around this prominent corner site in Hayes Valley, revealing private decks and a subtle bike/pedestrian entry along Gough Street. A restaurant at the ground level will anchor this new development by expanding the vibrant street life further down Hayes Street.